Russell Carpenter, ASC on the set of Titanic (1997). 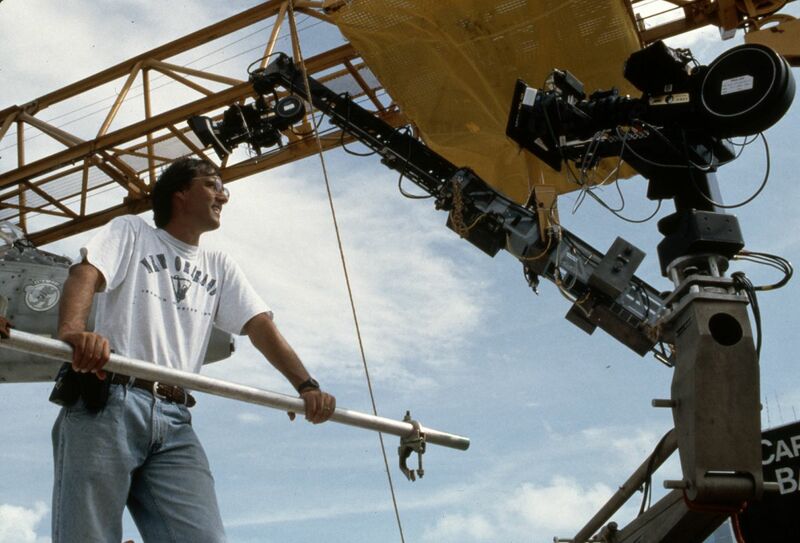 When James Cameron hired Russell Carpenter, ASC — this year’s recipient of the ASC Lifetime Achievement Award — to shoot the feature True Lies, it was the cinematographer’s first shot at a massive-budget, tech-heavy science-fiction project, though nobody could say Carpenter hadn’t paid his dues. Having worked his way up from low- to modestly budgeted horror films like Pet Sematary II, Critters 2, The Lawnmower Man and others, the spy thriller starring a peak-of-his-popularity Arnold Schwarzenegger was a great leap in Carpenter’s evolution. The enormous success of True Lies paved the way to Cameron and Carpenter’s feature reteaming for Titanic — which earned Carpenter the Best Cinematography Oscar — and to more than 20 features that followed, including The Negotiator; Shallow Hal; and a small Indian film called Parched, which the cinematographer is quite proud of. It’s been a long road, filled with surprising ups and downs, but to hear Carpenter and his colleagues tell it, he’s always loved the work. 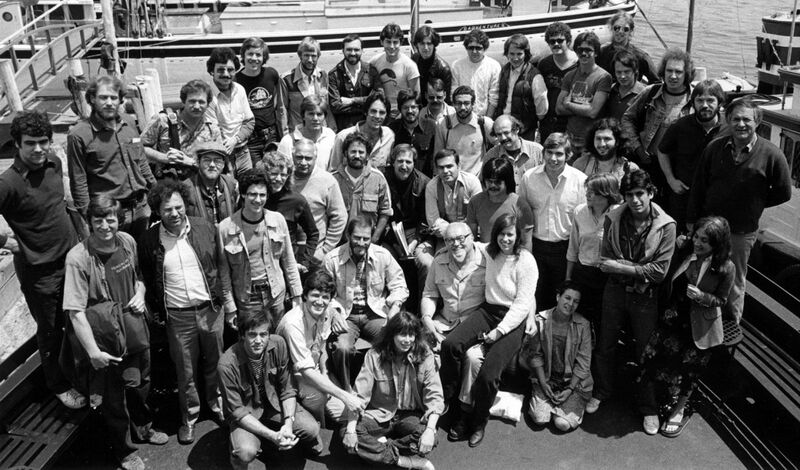 In a shot taken during a session at the Main Photographic Workshops (now the Maine Media Workshops), instructor Owen Roizman, ASC (center, seated) is surrounded by students, including one particular fellow directly behind the cinematographer, one person back. 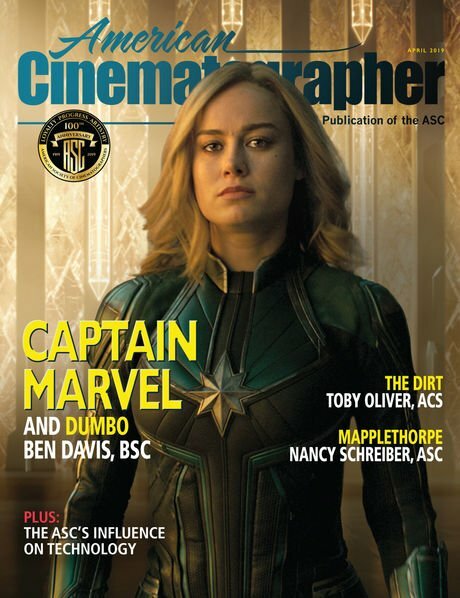 That’s Russell Carpenter, who never attended a formal film school, but created his own education program with copies of American Cinematographer, lectures at the AFI and other classes. Carpenter majored in English, a degree that “had nothing and everything to do with filmmaking,” he says. “I read a lot and it gave me a knowledge of structure and story.” After graduation, the station offered him a full-time job shooting film documentaries as a cinematographer in residence. But the job offered too little cinematography and too much “in residence” — i.e., sitting behind a desk — and he quit without a clear direction forward. After spending some time hiking around Hawaii, eating peanut butter, and sleeping on beaches, he returned to Southern California and found work shooting at another Orange County public TV station. A director there, Thom Eberhardt — who later went on to direct such films as Night of the Comet — presented Carpenter with an opportunity to shoot a feature. Eberhardt had convinced a local “furniture czar” in Orange County to finance a zombie movie to the tune of about $250,000, under the stipulation that the financier’s wife would portray the most prominent zombie. 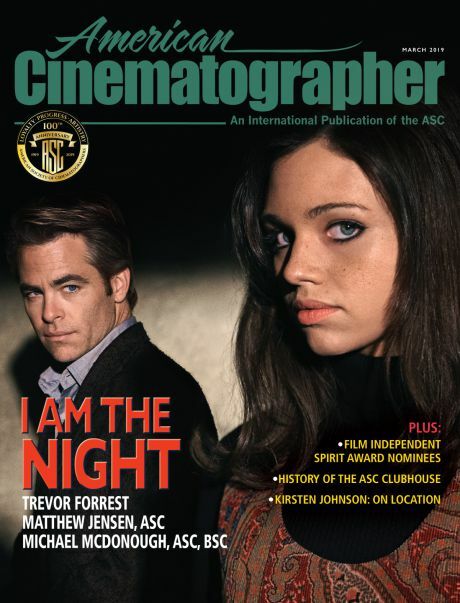 “It was the first time I ever got to shoot 35mm film, and it was the first time I shot anything over 20 minutes or anything that was truly narrative,” the cinematographer recalls of this unexpected opportunity. A few of Carpenter’s early features included (from top) The Lawnmower Man, Critters 2 and Pet Semetary II. 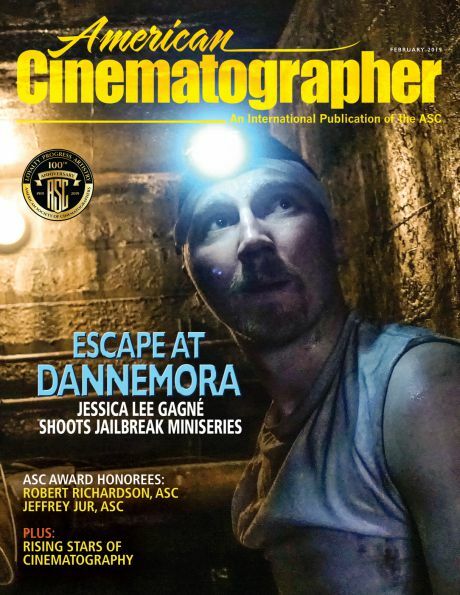 Carpenter became part of a group of cinematographers who were doing non-union work in Santa Clarita, just outside of L.A., for New Line horror films. “Nightmare on Elm Street films were pretty much their big-ticket franchise,” he says. “There were a lot of these kinds of movies. They might not have been great, but they gave some of us a canvas to paint on. After shooting additional photography for New Line, I later shot the low-budget comedy-horror pic Critters 2 with horror master Mick Garris,” another job Carpenter credits Kass with helping him land. 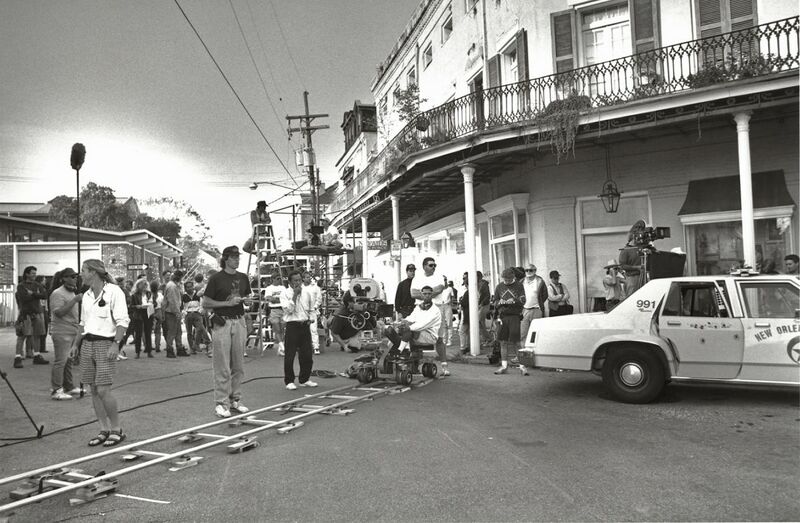 On location in New Orleans setting up a tracking shot for Hard Target. Cameron and Carpenter during the production of True Lies (1994). Carpenter during the complex production of True Lies. A 3D sequel of sorts to Cameron’s Terminator 2: Judgment Day (1991) — shot by Adam Greenberg, ASC — the ride film T2 3-D: Battle Across Time (1996) was created for an attraction at Universal Studios’ theme parks. 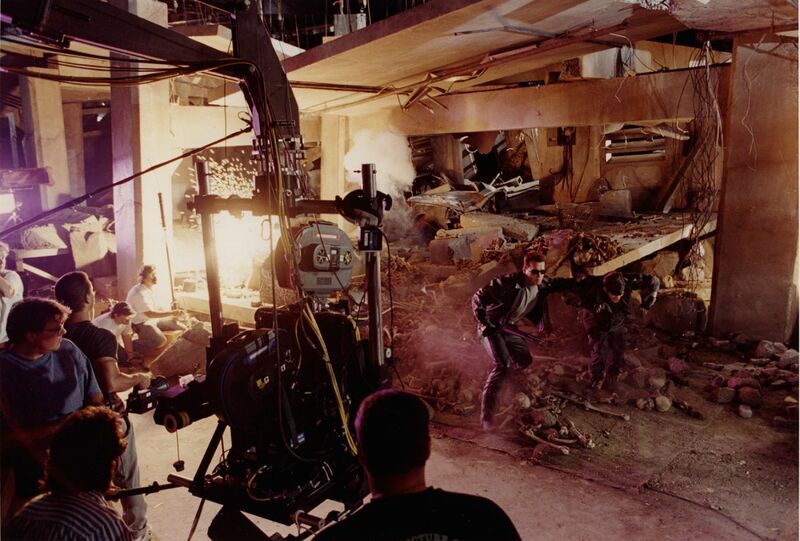 Following True Lies, Cameron brought Carpenter in to shoot the unique project, which was photographed in 3D with twin 35mm cameras mounted together, as seen in this shot featuring the crew lining up on the Terminator himself, Arnold Schwarzenegger. Accepting the Academy Award for his work in Titanic. Carpenter and Cameron at the 1998 ASC Awards, where the cinematographer’s work in Titanic earned him the ASC Award for Theatrical Release. 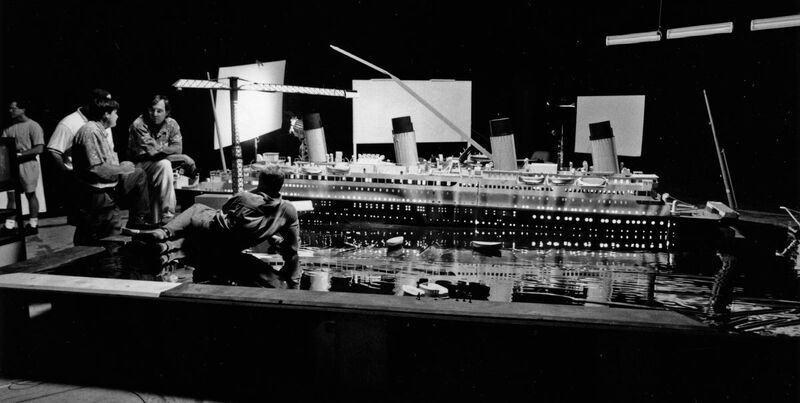 A large model of the ill-fated luxury liner HMS Titanic was set up for lighting tests during prep on the blockbuster period drama Titanic (1997), and at the center of the discussion are (from left) chief lighting technician John Buckley, Carpenter and Cameron (reclining). Of note is the Mylar sheeting around the model, simulating water, which rendered an accurate suggestion of how the huge, to-be-built ship set’s complex practical lighting would play once it was positioned in the tank facility at Fox Baja Studios (seen below). Carpenter and his Titanic crew. Carpenter and director Leena Yadav on location in India shooting Parched (2016). Carpenter shouldering a Redrock Micro rig with a Canon DSLR. Carpenter will receive the ASC Lifetime Achievement Award on February 17 during the 32nd annual ASC Awards for Outstanding Achievement in Cinematography. You can listen to Carpenter discuss his work on Titanic in a recent edition of the AC Podcast. UPDATE: Watch Carpenter's complete ASC Awards presentation video here.